We are a grassroots organization of volunteers determined to make North Carolina and the United States better and fairer for women and girls! Founded in 1966. 2018 State Conference – Women Rising Up NOW! 2017 State Conference – Mobilizing Women NOW! 2016 State Conference – Women Making History NOW! 2015 State Conference – Focusing Women’s Power NOW! December is busy with some celebrating and some reminiscing. Indoor event in Raleigh on Tuesday, Dec. 6, 2016. Outdoor holiday parade and march in Durham on Saturday, Dec. 10. 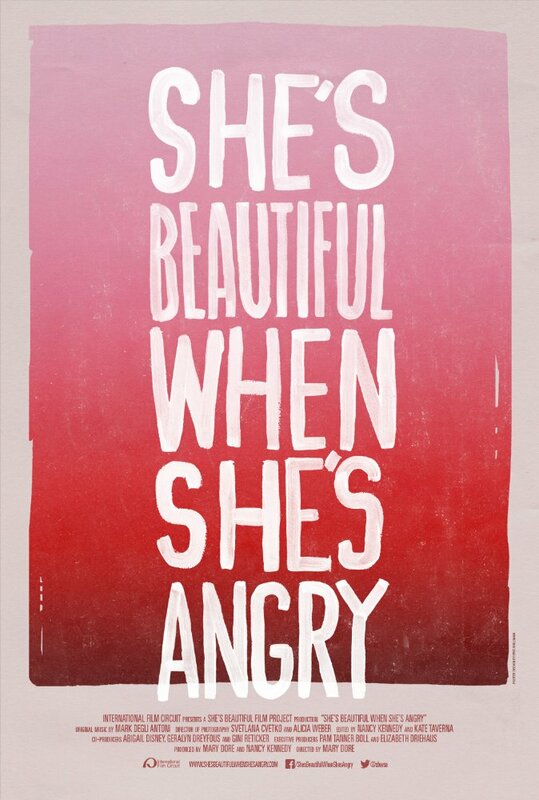 Join Raleigh NOW on Tuesday, Dec. 6, to celebrate the 50th anniversary of NOW with the documentary “She’s beautiful when she’s angry,” looking at why NOW was founded. Think about how far we’ve come. On the flip side, I am sure we’ll want to discuss how far we still need to go, as shown with the presidential campaigning and election. This event was originally posted on Nov. 7, 2016 – when the world was different (pre-election) – at Upcoming Raleigh NOW Events Fall 2016/Winter 2017. 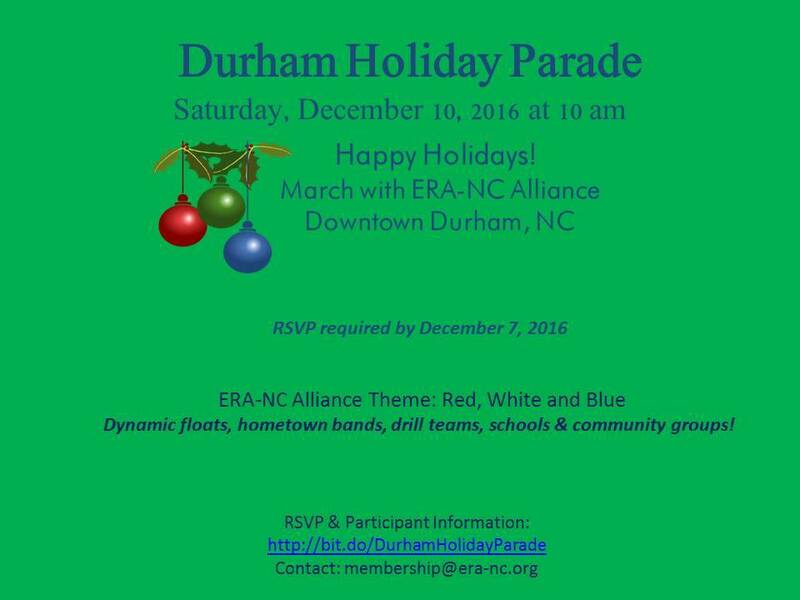 Join the ERA-NC Alliance, of which NC NOW is part, for a holiday parade and women’s march in Durham on Saturday, Dec. 10. “Celebrate the civil rights achievements of America’s foremothers and continue their work for equal rights. Alliance marchers will join dynamic floats, hometown bands, drill teams, schools and community groups!” Dress in red, white and blue! The Alliance members (including NC NOW) and supporters of women’s rights will honor the colors of our country and mark the Alliance’s non-partisan mission to fully include women in the United States Constitution. Please join NC NOW and the ERA-NC Alliance on Saturday. Be sure to pre-register through the. More on this event at https://www.facebook.com/events/971604506317031/. This entry was posted in Cheated out of pay, documentaries, Equal Rights Amendment, ERA, history, reproductive rights, sexism, women and tagged birth control, discrimination, documentaries, Equal Rights Amendment, history, reproductive rights, women's rights. Bookmark the permalink.